Reservation date is for Glass Bottom Boat Day Cruise only. 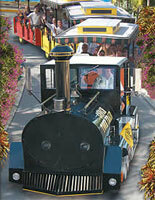 Experience the Best of Key West by land and sea on the Glass Bottom Day Cruise & Conch Tour Train combo. Cruise to North America's only living coral reef on a 65' Glass Bottom Fury Catamaran and a 90 minute sightseeing tour aboard the Conch Tour Train. This combo will save you time, money and stress. 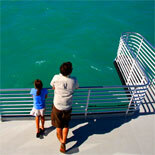 Get ready for excitement in, on and above the water with the Glass Bottom Day Cruise & Conch Tour Train combo. Explore North America's only living coral reef, one of the most biologically diverse marine ecosystems in the world on a 65' Fury Catamaran and travel through Key West history on the Conch Tour Train. Explore the dramatic underwater vistas of Key West's famous reef while staying cool and dry aboard a state-of-the-art air conditioned Glass Bottom Boat.. More than 300 species of fish and other sea creatures await you as you gaze into the underwater world of Key West. In addition, you will have the opportunity to see North America's only living coral reef, one of the most biologically diverse marine eco-systems in the world. Along the 14 mile trip, the experienced captain and crew will provide a unique and informative eco-tour and point out some of the most interesting marine life that inhabit the waters of this incredible island. Special glass 'windows to the reef' provide continuous viewing for all passengers. See the Best of Key West on the Conch Tour Train, a 'train ride' through time and one of Florida's most popular attractions. The expert engineers and friendly staff delight guests with the legends and lore of this historical paradise. Explore a lush, tropical island, and discover the charm and grace of one of America's most unique destinations. Get to know characters like John James Audubon, Ernest Hemingway, Harry S Truman and, like them, become captivated by the magic that is Key West. 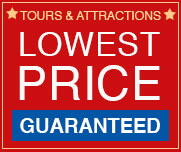 There's much to see and learn and these two great sightseeing tours. Make your reservations and get your eTickets now for the Glass Bottom Day Cruise & Conch Tour Train combo: See the Best of Key West by land and sea! Departs daily at 12:00 pm and 2:00 pm. Please arrive 30 min before your departure.Please confirm reservations for time prior to departure. 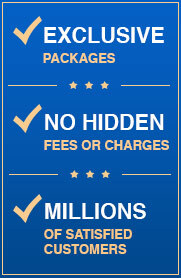 E-Tickets will have the details. Daily from 9:00 am to 4:30 pm , - 364 days a year. No reservations are required. Closed the last Saturday in October for Fantasy Fest. Tours depart approx. every 30 minutes. Glass Bottom Day Cruise - Reservations are required. E-Ticket will contain complete details regarding this tour. 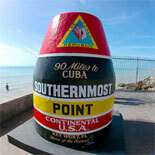 Located at the end of Duval Street at the Ocean Key Resort. Parking is available at Mallory Square or The Westin Parking garage. Parking is also available on the street at meters. Child Ticket: Ages 4-12 years. Children 3 and under are Free. Glass Bottom Boat: Life jackets available for all ages. Reservations are required at least 48 hours in advance of desired tour date ~ Sorry, NO pets ~ No strollers on-board, they can be held on the dock ~ Manual wheelchairs allowed, 6 per trip (electric wheelchairs not allowed) ~ Rain does not affect this trip and runs as normal ~ This is a viewing trip only ~ Pre-board available for elderly or handicapped people. Guarantee Note: Due to the limited reserved seating and factors beyond the control of the operator, this product does not fall under the Trusted Tours and Attractions Guarantee program. Assistance animals, such as seeing-eye dogs, are the only animals that are allowed on board the train.